This Moeifa movie page contains 11 records. 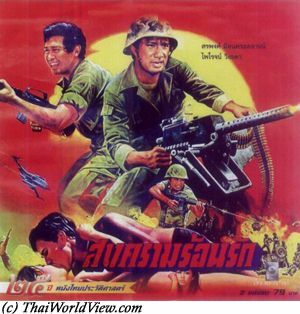 During Vietnam war Tua (Sombat Methanee) and his friend Kamleu help to extract American soldiers from the enemy field. A new mission is given to them. They need to eliminate a Lao mafia leader called Kosi. This is the third tentative (รับจ้าง) to get rid of Kosi. It takes place in 1972. 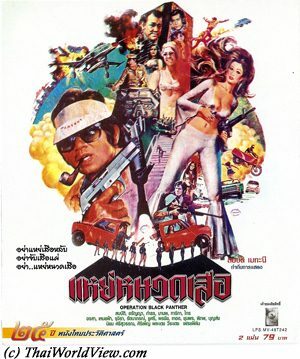 Tua is sent on mission to Vientiane. Tua is having a few James Bond secret gadgets. He is captured by a mafia team led by Madam (Moeifa). 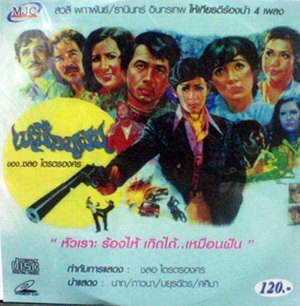 He claims he has come to Vientiane to kill Mafiosi (เจ้าพ่อ) Kosi. Madam frees him in order to know where Kosi is hidding. Tua meets Jenny, Kosi's daughter. Kosi neutralizes Tua and believes that he is an American agent (มือปืนรับจ้าง) sent to kill him. Kosi is in business conflict with Madam. 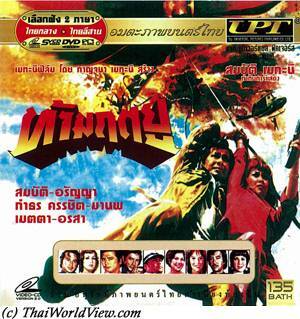 During a heavy gun fight between the two groups, Kosi is saved by Chinese soldiers and sent to Muang Sing in Northern Laos. Madam is killed. The mission has now changed. Tua and his friend Kamleu now need to extract Kosi from the Chinese soldiers and hand over him to American soldiers. Jenny is also captured by Chinese soldiers. Tua meets Kupan, an old friend who is now involved in drug trafficking. He understands that Kosi was involved in trug trafficking and weapons smuggling to support Red communists. Kosi has been transfered in an island close to Pattaya. Following a final batle involving a turtle shape submarine, Kosi is killed and his treacherous organisation destroyed. 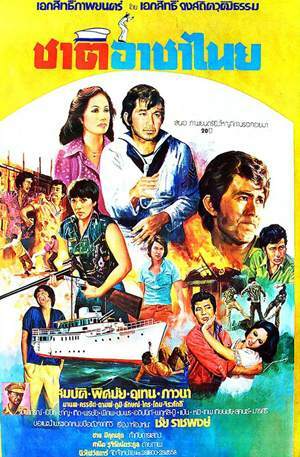 It is a typical action movie from mid 1970s with Sombat Methanee, who is directing this movie and also playing the main actor role. 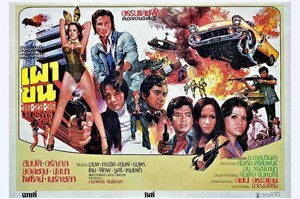 It is inspired from James Bond movies' theme with a main actor having gadget agent secret and behaving like a Don Juan. It still includes some Thainess with Tua asking for help from his Buddhist amulet. It is available in both Lao and Thai languages.